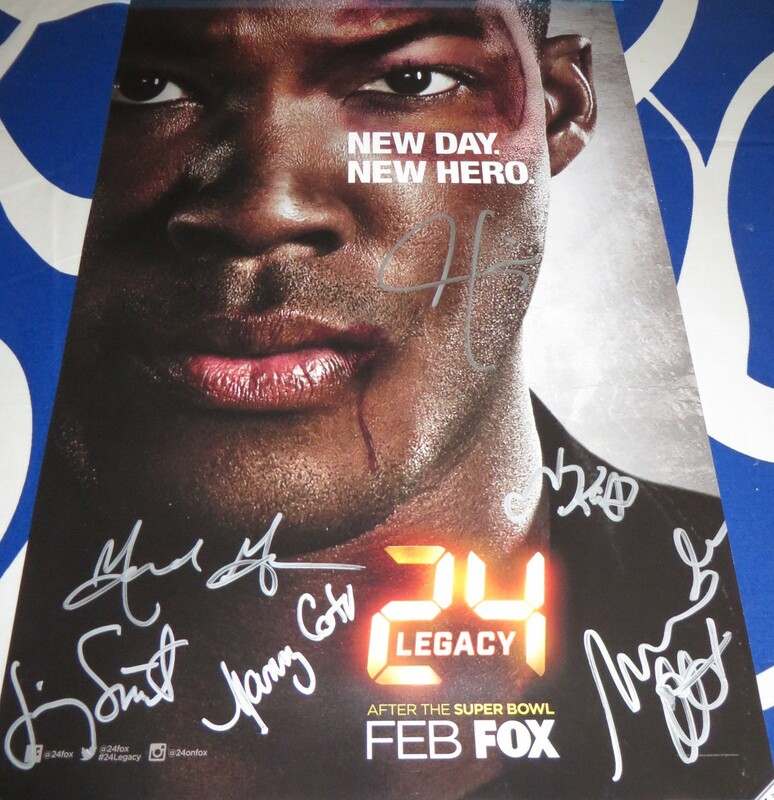 11 by 17 inch 24 Legacy 2016 mini poster autographed in silver marker by stars Corey Hawkins, Miranda Otto, and Jimmy Smits, plus the creators/producers of the original 24 Howard Gordon, Manny Coto, and Evan Katz. Obtained in person at very limited 2016 Comic-Con signing, with photo from the signing and certificate of authenticity from AutographsForSale.com. ONLY 2 AVAILABLE FOR SALE.